Sleep Health MD always appreciates feedback from our valued patients. To date, we’re thrilled to have collected 1023 reviews with an average rating of 4.87 out of 5 stars. 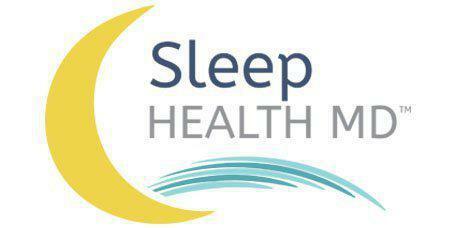 Please read what others are saying about Sleep Health MD below, and as always, we would love to collect your feedback. You were very friendly and approachable. You took a careful history and then explained everything in a clear and concise manner. I would be very happy to refer anyone that needed your help to you. Knowledgeable, friendly, answered a few questions, asked several questions, finished the appointment with the needed prescription. Dr. Masri listened carefully to all I had to say regarding my sleep problems. My only complaint t is that we still haven't found a solution. My experience with Martha was fantastic. She is straight forward, honest and trustworthy. She helped me immensely with the issue I came to her for. My experience with Martha was great. She took the time to go through my data and explained her recommendations for changes to my treatment. I didn't feel rushed. Felt that my concerns were heard and cam away with a plan for next steps. I learned alot through Martha and really enjoyed our group experience! Thanks so much! Our experience at this office has always been great! It is always a comfortable environment for our nine-year-old son and we feel as though we are getting top care for his sleeping issues. excellent help. very professional and knowledgable. Amazing person to work with. A great combination of expertise and empathy - which is rare to find together. I had great experience with Victor. He is very patient, passionate and helpful. I like to give him five stars. Great attentive doctor. Very personable and genuinely interested in patient's well-being. I'm very glad I found Dr. Tony Masri !! I met Martha for the first time in early November of 2016 for my sleep consult. She was very thorough and answer all my questions. I recommend anyone in this area to go to her. Very friendly and helpful! They helped with all my questions and gave good advice.